Judah's memorial service was held on Saturday, May 17th, 2014. I know that many were prevented from being there with us due to geography, prior commitments, and other limitations. I have collected in this post some of the material that was shared at that service, as well as some additional tributes from friends and family. I want Judah to be remembered, and I also want what we say here to be a help to others in similar situations as they come across this post. 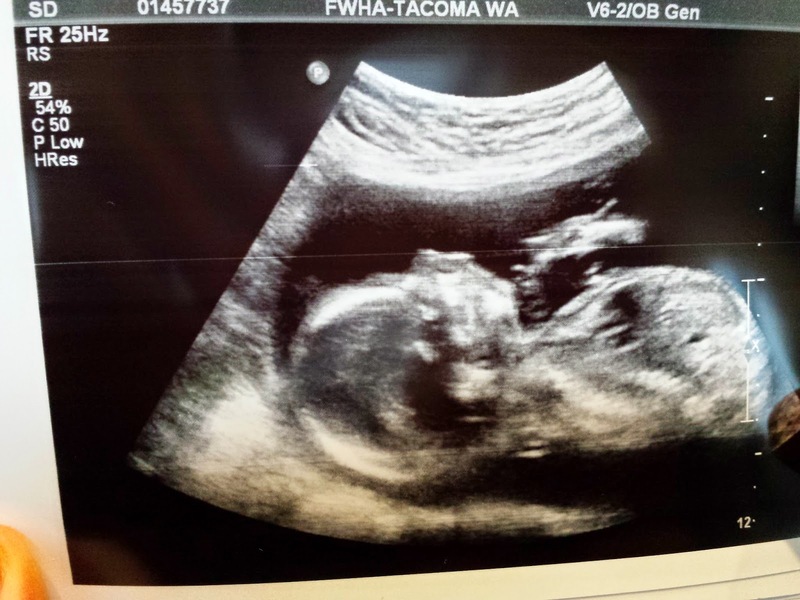 Judah Daniel was joyfully expected around May 20th. Shoshana and Abigail frequently asked to "feel baby Judah" and collapsed into fits of giggles any time they successfully felt him move. He was an active boy who always quieted down whenever Grandma Harris came near. His personality was not as exuberant as Shoshana's but his movements were more forceful than Abigail's. I expected him to be a strong boy to be doted on and bossed around by his big sisters. Another difficult pregnancy, I was eager for another early delivery. Sure enough, my body began giving me signs that it was almost ready for labor at 37 weeks gestation. Two days of false labor led up to a routine appointment. Alone, expecting to meet my boy in the next day or two, the midwife could not find his heartbeat with the doppler. That was the first time in all my pregnancies but I refused to jump to conclusions. An ultrasound was eerily still and I held my breath until the doctor quietly said "I cannot visualize any heart movements." Judah was induced and born at 5:01, May 4th, surrounded by family and friends. He was 6 lbs. 14 oz. beautiful, and perfect. He looked so much like his sisters and had Tim's feet but my toes. We took many photos, foot prints, and even foot impressions. I ask every day that Jesus would give him a hug and kiss for me and to tell him how much I love and miss him. I like names that carry meaning. Growing up and growing in the Lord, I have always taken the stories found in the book of Daniel with extra weight, as if they were intended for me in a special way, for me to display the integrity and bravery demonstrated by Daniel and his friends, and to intercede in prayer for my family like Daniel interceded for the Jewish people. In the same way, I have always taken Paul’s letters to Timothy personally, as if they were written specially to me in addition to my first-century namesake. So when it came time for Elizabeth and me to choose a name for our son, I wanted to give him a name that could provide an identity rooted in the Lord, and serve as a moral anchor in his life. Ever since we were pregnant with Shoshana, our first child, Elizabeth had picked the name Judah as a favorite if the child were a boy, and we have always wanted a boy. Elizabeth has gone through some rough times during her pregnancies, and she wanted a name that expressed our anticipation of the joy of our child’s future, in some ways in contrast to the feelings in the present. Judah means ‘Praise’. In the book of Genesis, Jacob meets Rachel and they fall in love. He agrees with her father Laben to work seven years for her hand in marriage, but on their wedding night, Laben substitutes his older daughter Leah in Rachel’s place. After a rather awkward morning conversation, Jacob agrees to work an additional seven years for Laben in order to marry Rachel as well. Then she conceived again and bore a son and said, “Because the Lord has heard that I am unloved, He has therefore given me this son also.” So she named him Simeon. She conceived again and bore a son and said, “Now this time my husband will become attached to me, because I have borne him three sons.” Therefore he was named Levi. And she conceived again and bore a son and said, “This time I will praise the Lord.” Therefore she named him Judah. Then she stopped bearing. Judah means praise, and so she chose to praise the Lord for his goodness despite her unchanged, unhappy circumstance. So she gave him her maid Bilhah as a wife, and Jacob went in to her. 5 Bilhah conceived and bore Jacob a son. Then Rachel said, “God has vindicated me, and has indeed heard my voice and has given me a son.” Therefore she named him Dan. In this passage, ‘Dan’ means vindication, and the name Daniel takes the word ‘El’, meaning ‘God’, and combines them into ‘Dani-El’, which means “God is my Judge”, or “God Vindicates Me”. To me that is a vital perspective in this present circumstance. God vindicates our Baby Judah. From a human perspective it would be easy to look at Judah’s short life with us as a waste, but it is God who judges the worth of every human life. It is his to assign to us the days of our lives. Judah was given to Elizabeth and to our family, for a short time. While he was with us, we loved him. We welcomed him into our family and thanked God for him. Now he is gone back into the arms of our heavenly Father, and he is no less loved, and we are no less thankful for His gift. I wanted Judah to learn from this imperfect situation how a man of God responds. Judah created this situation with his own sins, but it was not too late—it is never too late while we live—to begin to do what is right, and accept the responsibility for our actions. That is what a man does. Later on, Joseph unbeknownst to his brothers had become the ruler of Egypt. When they came to him he insisted that Judah and his brothers return with their youngest brother Benjamin. It was Judah who put his own life as surety for his brother to their father. When they returned to Egypt and Benjamin was caught with stolen property, it was Judah’s insistence that he be imprisoned in the place of Benjamin that convinced Joseph that his brothers had repented from the way that they had treated him when they sold him as a slave out of envy. A real man takes responsibility on himself for the well-being of others around him. I wanted my son Judah to know that, and to carry it with him in his name. Finally, Judah’s last name is Zwicker. That makes him a part of our family. In 1752, Peter Zwicker sailed from Germany to the new world, and settled his family near Bridgewater, Nova Scotia. In 1964 Edson Zwicker took his family from Bridgewater to Whittier, California, including his son David Zwicker. David grew up and married a Dutch girl named Geri, and they had five children whom they brought up in the Word of God. Timothy Zwicker, their son, moved from California to Washington after college, and met a pretty, swing-dancing nursing student named Elizabeth. Elizabeth and I have three children: Shoshana is almost five years old, Abigail is two and a half, and Judah Daniel Zwicker was born into heaven on May 4, 2014. We love him, and we miss him very much. Oh God. Today we celebrate little baby Judah. May I count the ways you have blessed me? For 20 minutes, as I held your 7 pound beautiful body with your head toward my knees - so I could just ponder your precious life that existed just a few short days ago in your mama's womb - I could see into heaven. Judah, you gave me that view. I will never be able to thank you on this earth but I can testify to that tangible gift given to me. You have transformed my vision from THIS VEIL OF TEARS to my real home in heaven. What a glory it will be to join you there some day. You have planted me even more firmly next to my Savior to walk hand in hand with Him for the remainder of my tasks on earth. You have helped me lift my eyes to heaven where my true strength comes from. To know that the view of reality belongs there and not on this earth. My life is so short, like a blossom that springs forth and then withers, I purpose to step with Jesus however He has called me to be and do. My tasks seem lighter and my days are more full to experience everything God has for me just because I held you. Little, precious Judah, your mama and daddy and sisters love you so much and cherish all the little giggles and movements you shared with them. You are a permanent part of our family and will forever have a place in our hearts. Heaven is brighter because you lived. Our nephew's memorial service was so beautiful today. Cried through the slide show sitting between my triplet brothers. David passed the Kleenex and Josh put his arm around me. 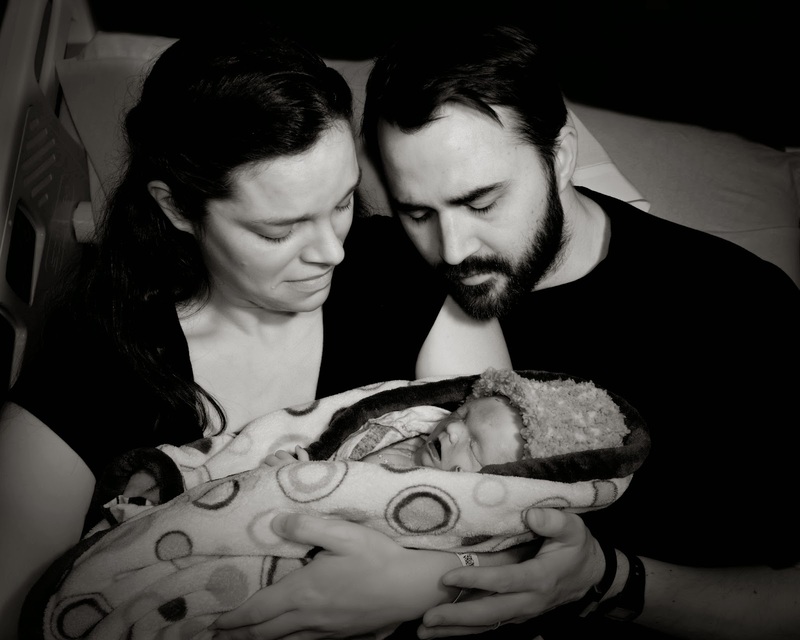 Heard the story of his name, Judah Daniel Zwicker, from my brave brother Tim. Judah, a man who faced his mistakes and took responsibility for them; Daniel, a man whose integrity and intercession for his people made Him beloved by God; and finally Zwicker, a permanent member of our family we will love and miss. He will not return to us but we will go to him in Heaven. We bless God both in the sunshine and in the dark, and we do it together. Story of our life as a family. We pray our response to God brings Him glory. Now relaxing with the other nieces and nephews at my sister Sarah's house. Thankful and comforted in being together. and my eyes shall behold, and not another." Beautiful presentation for difficult memories. God is good. All the time and in every way.